How Long Does Probate Take in Oregon? The administration of a probate estate takes a minimum of 4 Months in Oregon. The typical amount of time is closer to 5-7 months depending on the nature of the assets and the backlog at the court house. To speed up the process, I make sure that the Personal Representative is well informed regarding the process and has a plan on how to administer the estate before filing with the court. 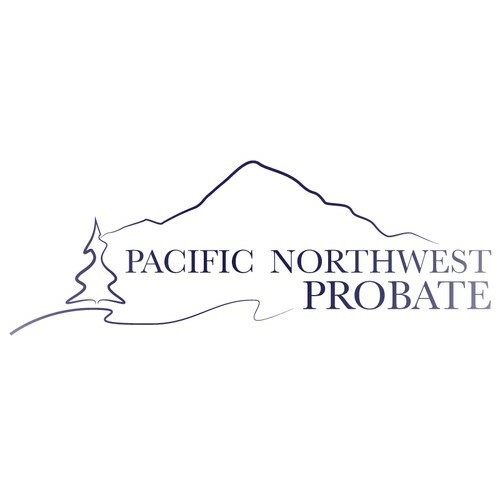 I have written about the Probate Process in Oregon and created an Oregon Personal Representative Checklist to help my clients better understand the proceedings. You can also find more information by searching the blog on the right. Gather Documents. This includes Wills and other Estate Planning Documents. You will also want to look for financial documents that may determine whether the property is subject to probate. Petition the Court. You will file a petition with the Probate Court asking to be appointed the Personal Representative and to admit the Will, if any. Judgment appointing Personal Representative. The Probate Court will enter a judgment based on your petition and on the Will appointing you (the petitioner) as the Personal Representative. Issuance of Letters Testamentary or Letters of Administration. The Probate Court Clerk will issue the Letters Testamentary or Letters of Administration after the Probate Court has entered its judgement. Depending on your circumstances, the petition can be very complicated or very straight forward. When is Probate required in Oregon? Do I have to file for probate in Oregon? Probate is not always needed or desirable when someone dies in Oregon. There are instances when property transfers without having to go to court. Other times, probate is the only way to transfer the property from the person who died to the heirs. To transfer property or real estate that is titled in the deceased person. This is most common when there is real estate that is titled only in the name of the deceased person but may also be need when there are bank accounts and investment accounts. To resolve conflicts among the heirs. The children and family of the deceased person may not agree about the authenticity of the will or may have other issues involving the estate. To collect debts and enforce other rights. People may owe the deceased person money or have other obligations that can be enforced by the personal representative of the estate. There are no assets or the assets are not titled. Transfer-On-Death and Payable-On-Death selections were made and the assets were transferred to the beneficiary automatically. The property was jointly owned and transferred to the co-owner automatically at death. If you have more questions about the Probate Process in Oregon you can read articles in the blog, visit our Probate practice or ask me a question. A probate bond is a bond issued to protect the heirs and creditors of an estate from the negligence or dishonesty of a personal representative. A personal representative may have sloppy bookkeeping or does not properly and timely deal with claims of the estate. Less often, the personal representative may act dishonestly and steal the assets or gamble them away. In these situations a bond will protect the heirs and creditors from the loss. When are Probate Bonds Required in Oregon? ORS 113.105 describes the necessity and amount of bond. Generally speaking, if a will says that no bond shall be required or if the personal representative is the sole heir or devisee no bond will be required. If the will requires a bond, or doesn't mention bonding, or if the person died without a will and has multiple heirs, the court will require that a bond be filed with the court before letters of administration or testamentary are issued. The court also has discretion to require a bond even if the will says no bond is necessary. How Large of a Probate Bond will be Required? The nature, liquidity and apparent value of the assets of the estate. The anticipated income during administration. The probable indebtedness and taxes. The court is required by statute to ensure that the bond is adequate to protect interested persons of the estate. The bond will be issued to the personal representative by a surety company authorized to transact surety business in this state. The surety company will look at the personal representatives credit report and assets when deciding the amount the personal representative qualifies for. If the personal representative doesn't qualify for bond required by the court, other options have to be explored. Finding a personal representative that does qualify for the bond. This can be done by having the personal representative nominated in the will or preferred by statute decline to serve. Restricting estate assets. Typically the real estate (houses) of the deceased are listed as restricted in the petition. This restriction prevents the real estate from being sold without a court order. Because real estate is usually the largest asset of the estate, this will reduce the bond greatly. If you have any additional questions regarding bonding or probate in general, search the blog in the box on the right or feel free to contact me. What to do when someone dies in Oregon. The death of a loved one is a trying time for all families. There are several items that should be found and steps taken so that the transition will be easier. Will, Trusts or any estate planning documents of the deceased. A Will must be submitted to the court in order to admit the Will to probate and to appoint the Personal Representative. You can find more information about the Probate Process in Oregon and other probate topics on the blog. Life Insurance Policies. Up-to-date originals of the policies may be needed to claim the proceeds of the policy. Car Titles. Titles to any automobiles, boats, trailers or any other vehicle that the deceased may have owned. Deeds. Any document that proves ownership of real estate. If it's necessary, you can obtain these from your local county. Stock, Bond or Deposit Certificates. Any document that proves ownership of a financial instrument. Death Certificates. You can obtain death certificates from vital statistics but typically a funeral home will order them for you. Death certificates are used to prove death and are useful for many legal and financial reasons. Records and documentation. It is important that accurate records are kept of all bills paid, money deposited and spent, and every other transaction of the estate. Forward Mail. Forward the mail with the Postal Service of any business or personal of your loved one. Review the mail regularly for any bills or other important documents. Safe Deposit Box. Locate and inventory any safe deposit box that the deceased may have had. Inventory Assets. Make a list of all assets. If necessary, obtain date of death valuations from banks and brokers. Taxes. The estate may owe property and income taxes. The timing and valuation of assets can be important so talk to an attorney and a CPA before paying taxes. Records and documentation. Because it is what most commonly gets people in trouble I'll say it again. It is important that accurate records are kept of all bills paid, money deposited and spent, and every other transaction of the estate. This is an overview of the most common tasks that a personal representative needs to perform in Oregon. If you have any questions feel free to contact me or search the blog. In Oregon, the personal representative of a probate estate is entitled to compensations for the services provided to the estate. The personal representative must apply for the fee from the court. By statute, ORS 116.173, the compensation is based on the value of the estate. The personal representative may be entitled to additional compensation "as is just and reasonable" that is extraordinary and unusual circumstances. The personal representative must request the additional compensation from the court. The Will of the estate that is being administered may have made a special provision for the compensation of the personal representative. In these situations, "the personal representative is not entitled to any other compensation for services unless prior to appointment the personal representative signs and files with the clerk of the court a written renunciation of the compensation provided by the will." If you have any questions regarding the administration of an estate or how the probate process works, please search the blog or contact me.